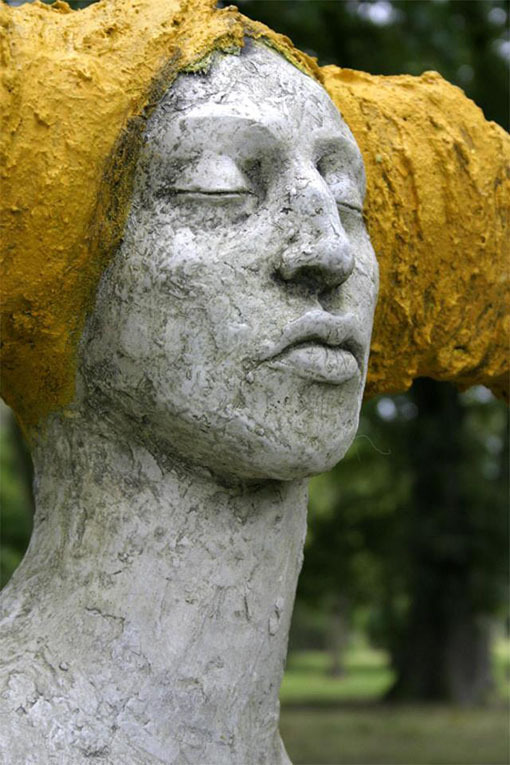 Description – Cast and modeled concrete sculpture head with horizontal perpendicular hair, mounted on a steel base. It is part of a series of work based around Deities. The piece received the Large work of Distinction Award at Sculpture in Context 2011, and Ayelet was invited to be on the selection panel for the 2012 exhibition. Dimensions – 145cm height x 200 cm width. 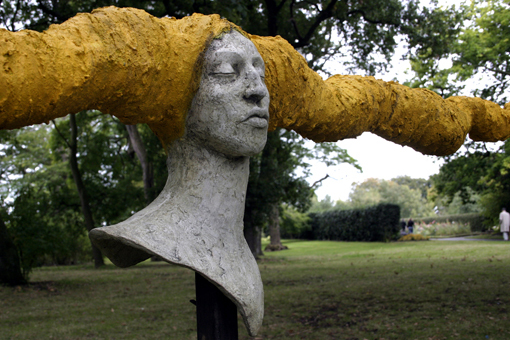 Exhibited – Chrysues was exhibited at the annual outdoor sculpture exhibition Sculpture in Context 2011, at the National Botanical Gardens, Dublin. 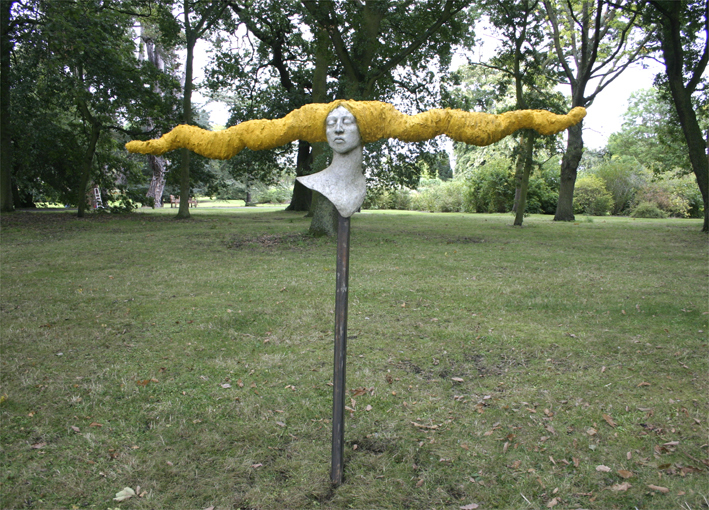 Currently – Chryseus was purchased for a private collection.